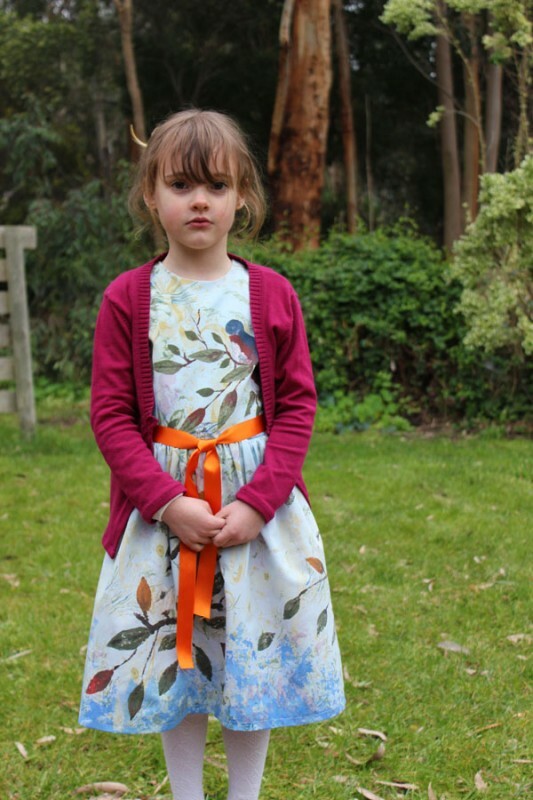 This week’s feature is a Fairy Tale Dress sewn with hand painted fabric created by Suz of sewpony. She painted on the birds, leaves, and flowers. She also sponged the bottom of the dress to get the same blue effect as the Belgian style inspiration dress. To learn more about this dress and see more photos, check out Suz’s blog. Gorgeous! Thanks for sharing, Suz!